True Outback Hospitality. Located 800 km west of Brisbane, Cunnamulla lies at the intersection of two major stock routes - The Matilda Way and Adventure Way. No visit to Cunnamulla is complete without paying a visit to the legendary Cunnamulla Fella. He was immortalised in Slim Dusty’s song and now sits proudly in the centre of town. Get in touch with nature along the banks of the Warrego River. Take a leisurely stroll to spot the native birdlife, throw in a line, or paddle along in a kayak to take in the majestic views of the Australian Outback. If you’re looking for something a little more strenuous, climb to the top of the town’s largest sand dune and surf your way back down! The climb is tough, but the thrill of hurtling down will make it all worthwhile and possibly make you want to do it again. Take a trip back in time and watch the past unfold by following the Heritage Trail, including the infamous Robber’s Tree. It is reported bank robber, Joseph Wells, hid in the tree to avoid being captured but barking dogs gave up his location. Spring and autumn bring splendid days – clear, sunny and warm – and comfortable nights. Summer can be hot, temperatures often climbing above 40℃. However, this is also one of the busiest times of the year. If you are looking for more space, winter and spring provide you with glorious weather and less people to share it with. The population explodes during August for good reason – the Cunnamulla Fella Festival brings you three days of great music and entertainment. If you’re feeling brave, sign up for the Cunnamulla Fella Challenge. 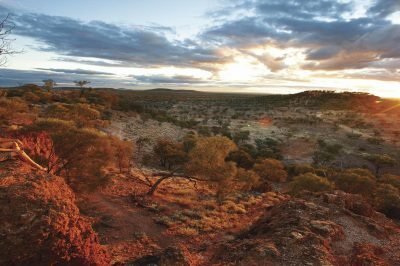 Cunnamulla enjoys a temperate climate all year round. While the mercury may rise to seemingly uncomfortable levels during the summer months, the low humidity and regular breezes make the temperature more bearable than you may think. Cunnamulla experiences significantly lower rainy days than many other South West Queensland towns, so your plans are unlikely to be dampened by the weather! Located 800 km west of Brisbane, Cunnamulla lies at the intersection of two major stock routes. These routes have transformed into major roads of adventure – The Matilda Way and Adventure Way. First visited by Sir Thomas Mitchell in 1846, European settlement of the area commenced in the late 1840s. However, the area was not fully explored until William Landsborough’s return in 1858. Landsborough’s work lead to Cobb & Co establishing a base next to the waterhole in 1867, which saw the town continue to grow. Cobb & Co gave the town its name, believed to mean ‘long stretch of water’ in Kunja, the language of the original inhabitants of the area. The region was recognised for its pastoral value and fast became a major wool producing area of Australia. Visit Cunnamulla to enjoy old fashioned, country hospitality at its absolute finest.